So you want to travel the world but you have a tight budget? Are you tired of reading about everyone else's exotic adventures and ready to have some of your own? Have you always wanted to take an international vacation but thought you couldn't afford it? There are numerous travel destinations across the world that are both exciting and affordable. Five of them are described here to give you ideas and get you started planning your own getaway. There are two ways to approach affordable vacations to distant destinations. Either you will save money getting there or the savings will occur once you arrive at your selected spot. If you want the trip there to be affordable, many travel consolidators recommend choosing well-known destinations that are served by numerous airlines and receive millions of travelers each year. The competition for customers usually drives costs down for everything from lodging to tour packages. Airfares between major hubs tend to be more affordable and there are often plenty of discounts and last minute travel deals. 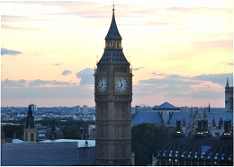 In Europe, London is a top pick for affordable vacation destinations, for these exact reasons. Not only do you have more flights to choose from, they are cheaper than if you flew to a more remote location. On average, staying in London may be a bit more expensive than other European destinations, but the seemingly endless choices in hotels, restaurants, transportation, tours, and other travel essentials gives travels opportunities to mold their vacation to fit their budgets. And you can use London as your home base to set out on day trips to other more exotic locations or buy a Eurorail pass and see those more remote countries without the expense of flying there. Although there are many options for affordable vacations in the Caribbean, an excellent pick is Playa del Carmen, Mexico. 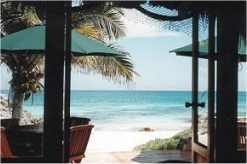 Accessible via flights to Cancun, which are often some of the cheapest in the region, Playa is just a half hour away. It is filled with a multitude of lodging choices, from expansive luxury resorts on the ocean to quaint but clean hotels downtown. From Playa, travelers can branch out and visit Tulum and other locations on the Mayan Riviera or take the ferry across to the island of Cozumel where snorkeling is prime and the attractions are many. An affordable yet exotic choice for Asia is Malaysia and specifically Tioman Island, knows as the mythical 'Bali Hai' from the film 'South Pacific.' 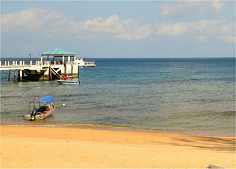 Tioman Island is located at the southern end of the east coast of Malaysia on the South China Sea. Its sandy beaches, bordered by lush jungles and stunning mountains make it a relaxing yet intriguing destination, ideal for sun lovers, snorkelers and divers. The island also has many villages for exploring and shopping. English is widely spoken and the rates are amazingly affordable, with a two night lodging package for a suite at a lovely oceanside resort averaging around 100 U.S. dollars. Typically visitors reach the island via the speed ferry from the mainland. Although the trip can take over two hours, it is enjoyable and provides opportunities for dolphin watching along the way. South American also has many destinations that are affordable because of the savings once you arrive. Locales like Rio de Janeiro in Brazil, the areas top destination, are coming down in price but are still more expensive than cities such as Buenos Aires in Argentina, where the rates are lower and the U.S. dollar goes further. A huge metropolis that is more European than South American, the city has much to offer including cultural events, thriving nightlife, shopping, local sports, and a host of tours and excursions. La Boca, with its street performers, shops, and unique architecture is a big tourist draw. The large number of choices for lodging, restaurants, and activities provides opportunities for budget travel and savings. Airfare to the city is relatively reasonable for an international destination, with discount fares from the U.S. averaging around $500 round trip. Buenos Aires might not be one of the most exotic or inspiring destinations in South America, but it is a city that everyone should see at least once, and with some of the most affordable rates and fares around, it makes the list as a top South American destination. Las Vegas provides other non-gambling options for those who have had their fill of casinos. 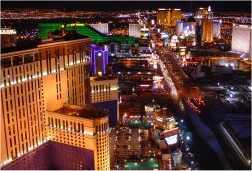 Cheap Las Vegas vacation packages with hotels and resorts that offer discount rates for rooms, meals and entertainment in hopes of attracting people to their gaming tables. Airfare rates into Vegas are some of the most reasonable in the United States, no matter the origination destination. And with more than 100,000 hotel rooms to choose from, there is sure to be a lodging choice that fits your budget. 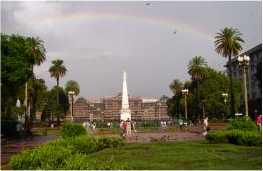 The world provides hundreds of affordable travel destinations. With all the options available, there is no excuse to put off that life-long desire to travel to exotic places at the far ends of the earth. Destinations can be researched on the Internet or your travel consolidator can make recommendations and help with locating discount flights and hotel deals that fit your budget. So what are you waiting for? Get out there and explore the world.